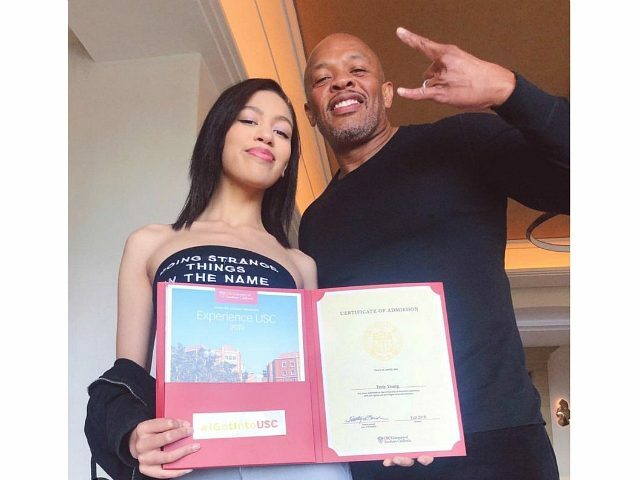 Rap mogul Dr. Dre celebrated his daughter’s acceptance into the University of Southern California (USC) — appeared to mock those celebrities currently embroiled in a college admissions scandal — even though he previously donated $70 million to the university. There is no evidence that Dr. Dre, whose real name is Andre Romelle Young, has ever engaged in fraudulent practices to help his daughter’s application. However, he has previously donated $70 million to the university for the construction of a new arts, technology, and business academy, a move which is unlikely to have harmed her own chances of acceptance.